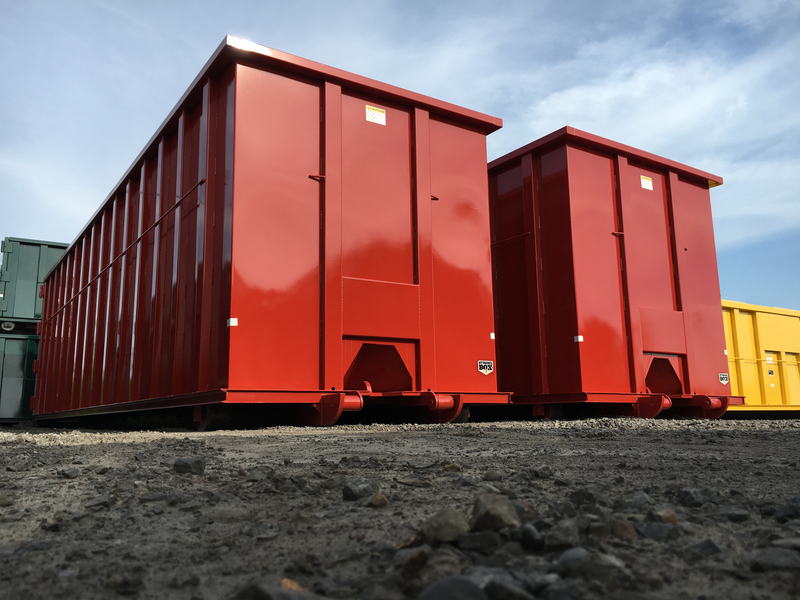 The leaders of the scrap industry know where to turn when considering their container purchases. 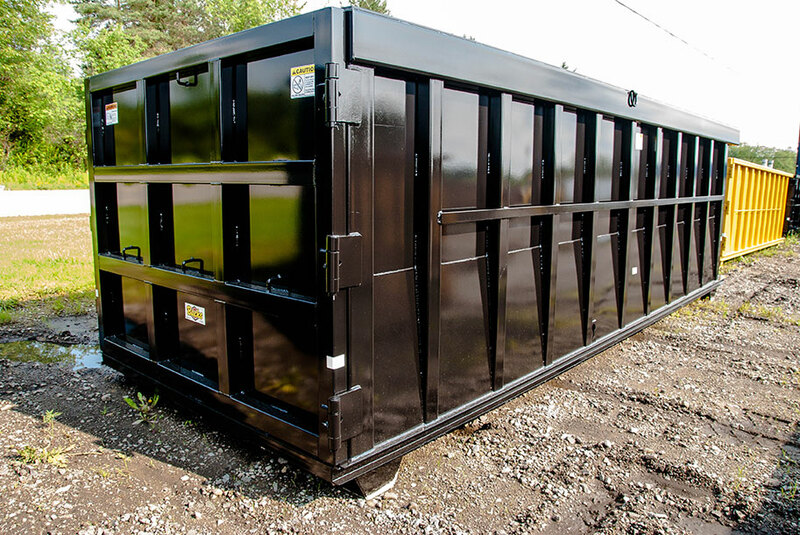 Bucks® Heavy Duty Scrap Containers outlast the competition and, most importantly, will beat your expectations. 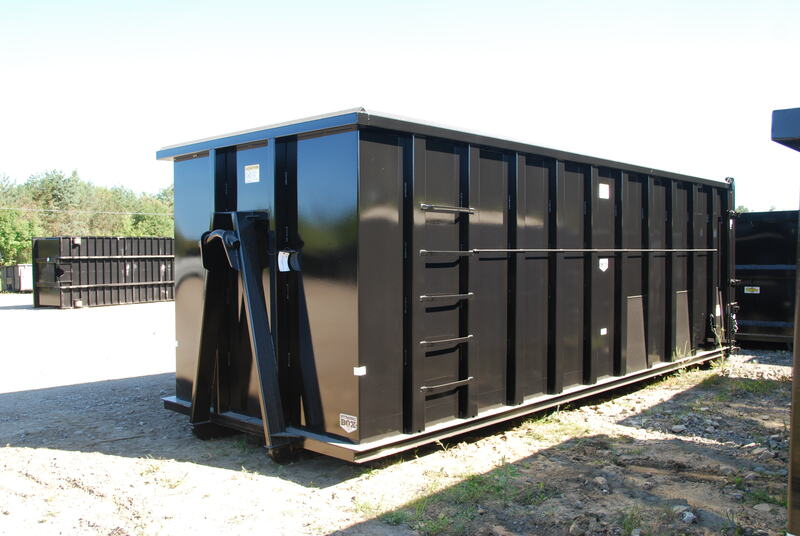 When you need to haul concrete, scrap metal, and other dense materials, Bucks® Heavy Duty roll-off container is the solution. 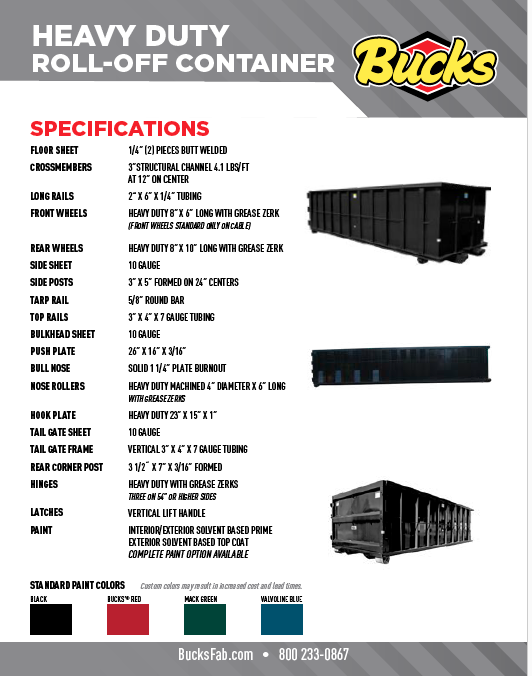 Our Heavy Duty containers feature crossmembers at 12″ centers, 10GA side sheets, heavy duty hinges, and more.